Running a business is time-consuming, to say the least. As a business owner, you are constantly pulled in a million different directions with a vast array of appointments, meetings and events. There is a steep learning curve when it comes to knowing how to properly maintain a business calendar. Thankfully, there are posts like this to help you learn how to better mange your business calendar. These tips will enable you to manage business operations much more efficiently and productively. Carve time out of your schedule to dedicate entirely to answering emails. Email correspondence can keep you checking your phone all throughout the day. That is incredibly distracting. You cannot be focused on the information about blinds costs for your new office when you are reading an email about another meeting you have coming up. You can increase your efficiency and maximize productivity just by stopping this bad habit. Do not let your emails distract you throughout the day. Instead, dedicate an hour to an hour-and-a-half each day solely to responding to emails. This is one business calendar management trick that is sure to help you manage operations much more efficiently. Keep your business schedule and your to-do list separate. Your business calendar should not include tasks that you need to do throughout the day, like “respond to client’s email.” Instead, keep your to-do list and your daily schedule separate. Schedule events in your business calendars, and keep track of things that you need to get done using a productivity app. This is a business calendar organization secret that boosts productivity. It is sure to improve your ability to manage business operations effectively and efficiently. Use color to differentiate between different types of meetings, appointments and activities. It only takes an extra second to do so when scheduling events in your business calendar, regardless of whether you use Intuit products or iCal. Further, it helps make it easier to understand your weekly schedule at a glance. The easier your business calendar is to read, the more efficient it is. Obviously, this is a considerable benefit when you are a busy business owner trying to optimize your time at work. That way, you have time to focus on more profit-centric business operations. Try to stick to a routine as much as possible when creating a business calendar. Routines make you more productive. They will also help you make more efficient use of your time during the day. That gives you more time to focus on finding suppliers or negotiating prices with a shipping company. Create a routine and stick to it to help maximize time in your busy business owner calendar. Remember to take advantage of business calendar software and other productivity apps offered by Magento Enterprise and similar. This will help you maximize your work time. It will make you create the most efficient business schedule possible. 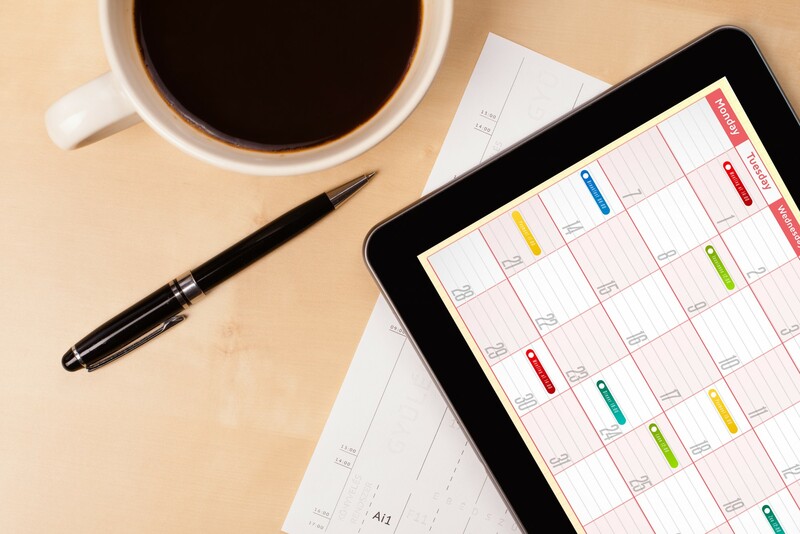 These business calendar apps offer useful, convenient solutions to streamline your appointment book and personal schedule into one. That is why the are some of the best ways to manage a business schedule to maximize your productivity. Business owners have a lot on their plate. It is crucial for you to maximize your efficiency at work to become the most productive business owner possible. It will help increase your chances at success. Use these business calendar organization tips to help you make the best use of every second of your work day. This way, you can spend most of your time on the more important operations that make your business money.